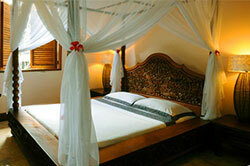 From humble beginnings, Honeymoon Guesthouse has grown into a charming small hotel. It was named after their bakery, which is still in operation on-site. 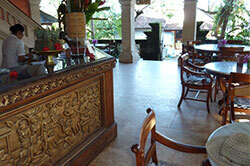 The Honeymoon Guesthouse is privately owned and situated only a five-minute walk from the heart of Ubud. 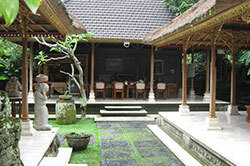 Offering 30 elegant Balinese-style guest rooms set in lush tropical gardens with a delicious breakfast served outside overlooking the beautiful tree tops and rice fields near Ubud.